Arya Putri Batik, built in year 2014 which was identified by opening our first own store in Tamini Square, the name of “Arya” was taken from Sansekerta (means noble, firm), and “Putri” was taken from Javanese name (means young elegant woman). 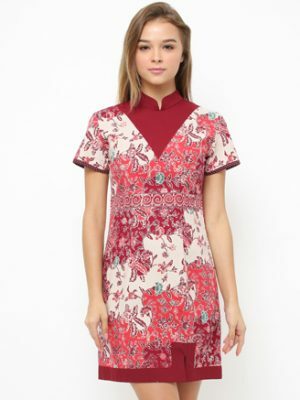 Arya Putri Batik is a product brand which presents the reflection of the young elegant noblewoman by having self-identity and confident firmly through originality of batik and leather as the finest creation of Indonesia heritage. In alignment with the Arya Putri Batik meaning, Arya Putri Batik products focus on “Customer Self-Identity” for young urban woman. Definition of Customer Self-Identity on Arya Putri Batik is Arya Putri Batik produce one piece of product individually and limited size in one own store. In providing accessible service for your pleasure to enjoy shopping our products (include to stay alert for new arrival products since our products are limited and individually produced), kindly please visit and follow our online shopping media in facebook-fanpage, instagram, pinterest, twitter, and website. Thank you for visiting our website. Happy Shopping!! The mission of Arya Putri Batik is to raise batik to become part of the young urban woman lifestyle for formal and non-formal situation in both local and international culture. Arya Putri Batik provide variety of collections which created to become young urban woman lifestyle through high detail quality products by using original batik (no printing batik used) and original leather (no synthetic leather used).